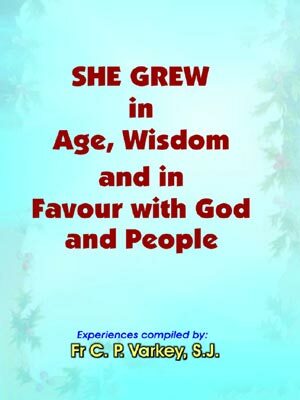 She Grew in Age, Wisdom and in Fovour with God and People is a collection of experiences of one woman. Those who take the gospel seriously will find in this book a woman like us who tries to live it honestly with great apostolic efficacy. Her experiences are both inspiring and challenging. Any one of these experiences can be used as matter for homilies, personal prayer or a monthly recollection. Nay, even for any eight day’s personal retreat. For this purpose, an index of the topics covered has been provided.